He was late for rehearsal. This normally never happened to him, but nothing had gone right that day. He’d picked up his favourite mug for a sip of coffee and found it chipped and broken down one side. He had a stain on his shirt and a tear in his pants so had to change. Then the broom had fallen. “Company’s coming.” He whispered. He was on edge as he made his way to the theatre. The one thing his mother hadn’t been clear on was when he could expect company to arrive. Sometimes it took days, sometimes mere minutes. He looked at everyone he passed on the way, wondering if any of them could be the company he was expecting. “My new who? Don’t you mean Juliette?” The company was doing Romeo and Juliette for an upcoming show on Valentine’s Day. Following him through the backstage hallways made with walls of black curtain, Kraig-Paul wondered if Ron was drunk or stoned or a healthy mixture of both. He had done some crazy things before, but a gay Romeo and Juliet? Madness. When he walked out on stage, he was blinded for a moment by the lights. He blinked and let his eyes adjust to them. 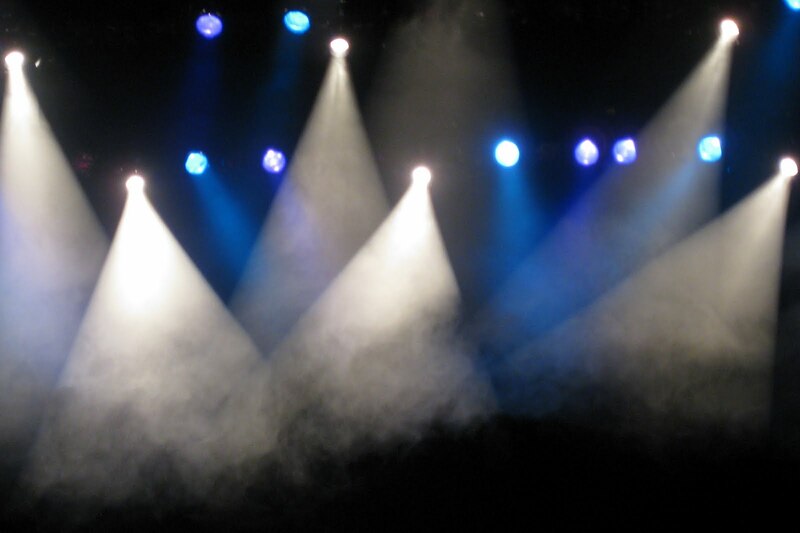 It was always the magic moment for him, when he stepped out on to stage and the lights were shining down on him. On a stage, anything was possible. Ghosts existed, quests were possible and magic was real. He wished magic could exist in real life, but thus far he had only found it on the stage. Kraig-Paul looked to where the voice had come from and saw the shadow of a man, standing high up on the balcony that had been built. He was in shadow for the moment but Kraig-Paul could see that he was tall and broad shouldered. However at that moment, the man playing Julian started to descend from the balcony. Kraig-Paul saw strong legs descend the lattice work and broad shoulders moving underneath a white cotton peasants shirt. Kraig-Paul couldn’t help looking at his rear end as he moved downward. Then he was down, both feet on the ground. When he turned toward them, Kraig-Paul felt his breath stop. When his Julian began to walk towards him, his heart began to race. A blush began to spread along Kraig-Paul’s cheeks and he felt light headed. Kraig-Paul recalled the broom falling earlier that morning and the sound of it hitting the tiled kitchen seemed to reverberate through him. “Company’s coming.” He whispered. Kraig-Paul’s blush deepened and he shook his Julian’s hand and thrilled at the electric charge that ran through him and he was sorry to let his hand go. “I’m sure it is.” He wanted nothing more to practice those kissing scenes as soon as possible. Kraig-Paul didn’t know what would happen with this man, his Julian, but he knew that he would enjoy every moment of finding out. He held out his hand again to the man with the brown eyes flecked with gold.